Very nice place! The house looks nice and clean. Everything you probably need is already prepared and it felt like staying at home. We had a really nice stay! 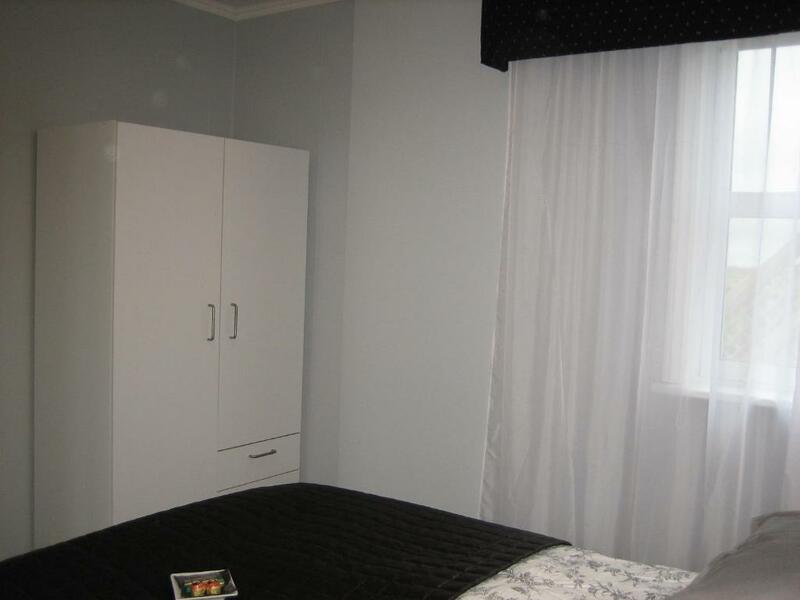 Very clean and comfy, 3 bedrooms a plus, well stocked kitchen and house cleaning supplies. Great host. The place was great! 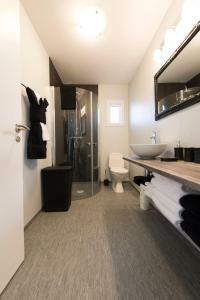 It was outfitted wonderfully - the bathroom was nice, the bedrooms and beds were great. A few more hooks, places to store or hang things would have been good, but there was storage and some hangers. The owner was very friendly and very helpful, with many suggestions of places to see that only locals would be aware of. The kitchen had everything we needed for cooking meals, including lots of extras such as salt/pepper, oils, spices, and things left behind by previous renters that were still usable. We would stay here again if in the area. Thank you for a wonderful 3 nights start to an amazing trip! We had a fabulous stay at Icelandic Cottages. Great location for visiting the Golden Circle, Reykjavík and the southern coast. Well equipped kitchen and all the amenities to feel at home while traveling. Thanks Rosa! 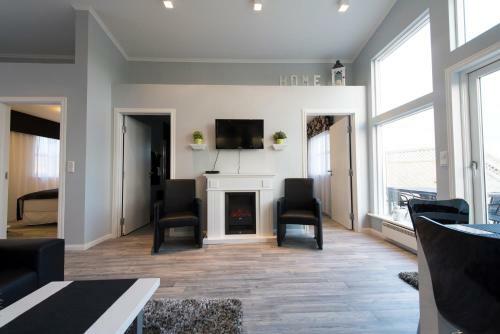 Lovely property manager (Rósa) Informational emails prior to arrival Comfy beds Washer & dryer Cozy feel The back porch/view Accessibility to the Golden Circle as well as Reykjavík, Keflavik, the Blue Lagoon, etc. Everything was perfect! Comfortable like home, food provided, beer mugs prepared in the fridge, completely equipped kitchen. Spectacular. The property was well equipped, very clean and comfortable. The furnishings were lovely and contemporary. Rosa, the host, did everything she could to make us feel welcome. The place was excellent. I felt at home. Kitchen fully equiped, washer, little fireplace was so cozy after hiking, perfect for watching northern lights, cozy beds, cute decor. Friendly and very usable information about the area ! The duvets, home made jam & quick responses Rosa. She is very accomdate. Lock in a great price for Icelandic Cottages – rated 9.8 by recent guests! 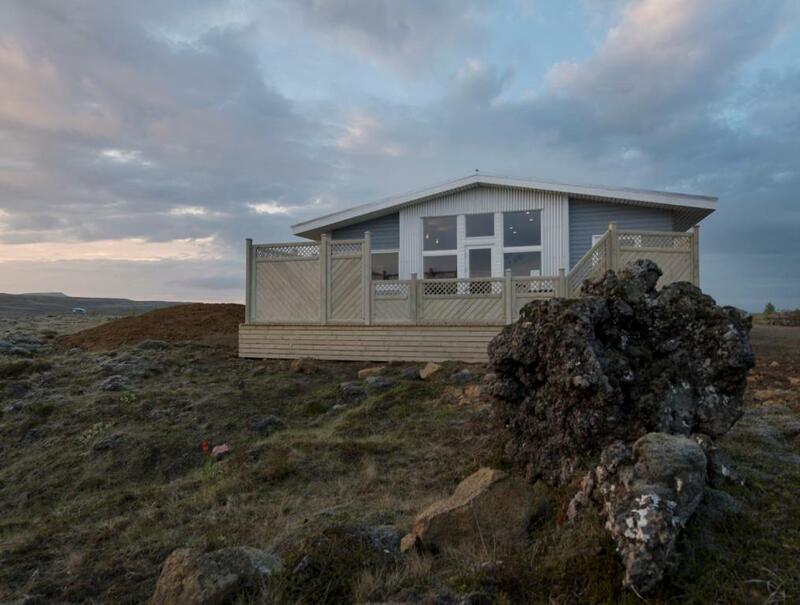 Boasting chic and modern interiors including a fully equipped kitchen, this house is 11 mi from Selfoss village with panoramic views of the wild Icelandic landscape. The property features a large terrace with a gas BBQ. The open-plan living/dining room features a flat-screen TV with 200 channels. Free Wi-Fi is available throughout this Icelandic Cottages property, and each light and airy bedroom also comes with black-out curtains. Hiking can be enjoyed from the door, while attractions in the area include Thingvallavatn Lake, Geysir and Gullfoss waterfall, all within a 50-minute drive of the property. This property also has one of the top-rated locations in Hraunmörk! Guests are happier about it compared to other properties in the area. 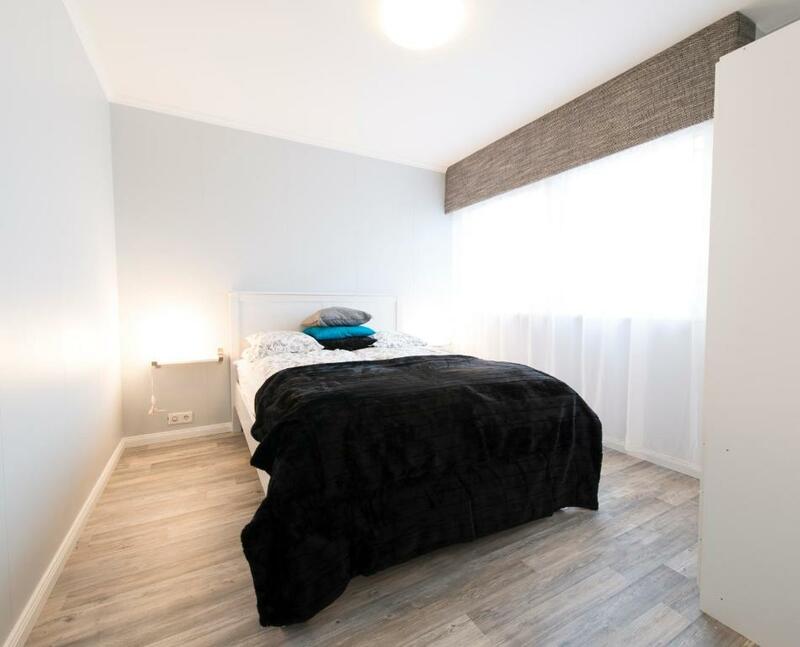 This property is also rated for the best value in Hraunmörk! Guests are getting more for their money when compared to other properties in this city. When would you like to stay at Icelandic Cottages? This holiday home features a terrace with a gas BBQ and has a fully equipped modern kitchen. The living area has a flat-screen satellite TV. This holiday home features a balcony, oven and washing machine. This holiday home has a balcony, DVD player and barbecue. This holiday home has a balcony, sofa and kitchenware. House Rules Icelandic Cottages takes special requests – add in the next step! Icelandic Cottages accepts these cards and reserves the right to temporarily hold an amount prior to arrival. Please note that Icelandic Cottages has a strict nonsmoking policy. If violated, a fine will apply. Please inform Icelandic Cottages of your expected arrival time in advance. You can use the Special Requests box when booking, or contact the property directly using the contact details in your confirmation. Only small thing I could think of was maybe a towel radiator in the bathroom would be handy. The cottage is a home from home and Rosa is lovely and so knowledgeable and helpful. With the added touch of some food and drink items for guests to use on their stay, which was totally unexpected but very much appreciated, as well as toiletries too. The location is perfect for exploring the southern parts of the island and is very secure and beautifully located. Wouldn’t hesitate to recommend or rebook for future trips. Friendly and prompt check-in, very clean apartment which makes you feel at home instantly. The location was very good to serve as a basis to explore the golden circle and beyond, really enjoyed it! Truly a home away from home! Everything you need is there in the cottage, it is fully equiped. Also it is very clean, homey and charming. Rosa gives a lot of helpful information about the area, like things to see, supermarkets etc. The best stay during our family roadtrip in Iceland! Nothing, everything was perfectly presented and laid out. 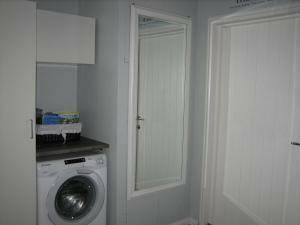 Rosa was a perfect host, the cottage was beautifully designed, the draws and cupboards fully loaded with the basics. The location was perfect and it was great to be so near everything in the Golden Circle. Rosa supplied a great big folder of different destinations and all with little hints and tips to allow you to enjoy Iceland. Wow, what a stunning country. Rosa was a great host who was very responsive to all our enquiries before we got there. We received a warm welcome when we arrived and she gave us a lot of information on how to make the most out of our stay. We loved her guidebook containing recommendations on places to visit around the cottage as it helped us go off the beaten path to stumble upon some really cool adventures Selfoss town was just a 20 minute drive away so that was convenient for groceries, fuel etc. Don’t miss the Pylsuvagninn hotdog stand next to the bridge (don’t miss this) in Selfoss. The kitchen was well-equipped as was the rest of the house so it was really easy to come back at the end of the day to whip up our dinners and get our laundry done before we set out on another adventure again the next day. Maybe a heater in bathroom? The washing machine could’ve used better instruction. Such as, if you wish to open the door during a cycle, turn off the machine and wait 2 minutes. I had to google the user manual. The playground on property had good intentions but looked pretty sad and it was somewhat unsafe for my kids. would have liked a few more places to hang wet towels from showers.